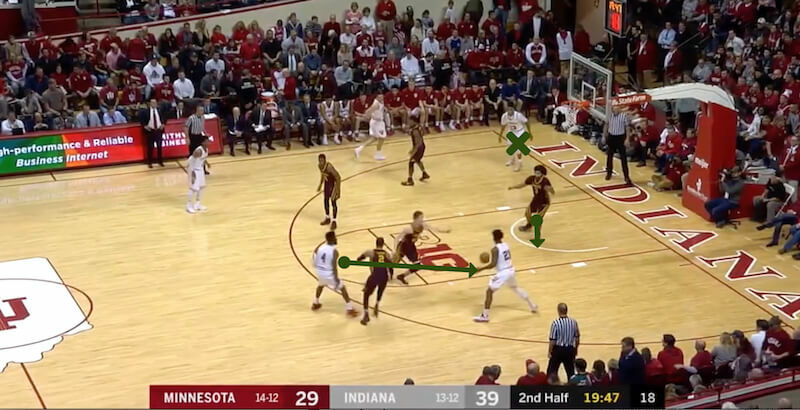 In its blowout win against Minnesota on Friday night, Indiana’s passing led the charge on offense. 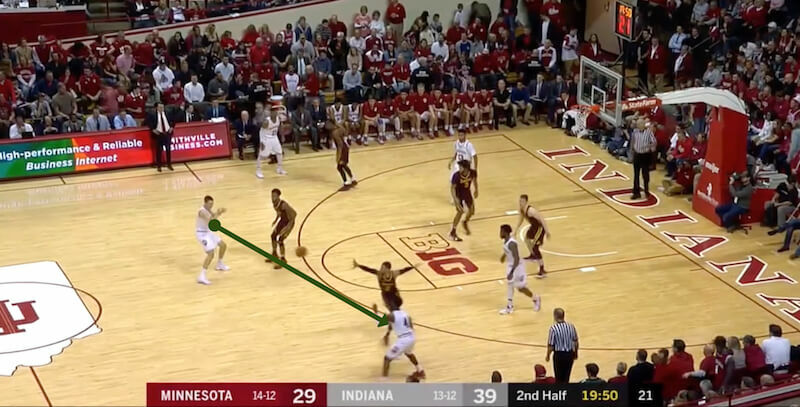 The Hoosiers continued to find the open man again and again, assisting on 21 of their 30 made baskets. 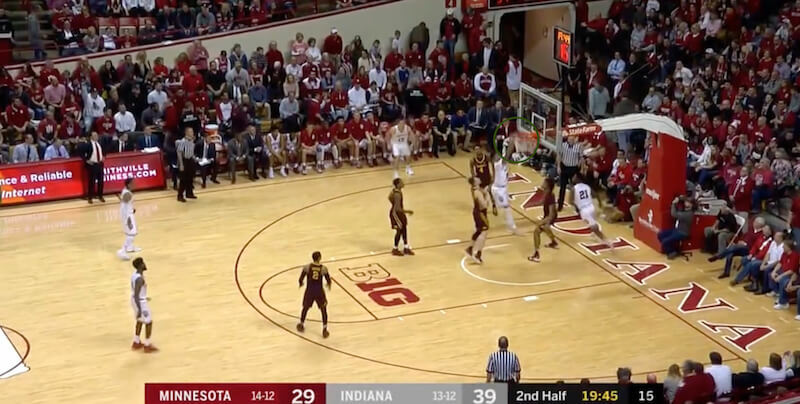 In the second half, the Hoosiers went to ball screen and pick-and-roll action several times on the right wing and continued to exploit the Golden Gophers. 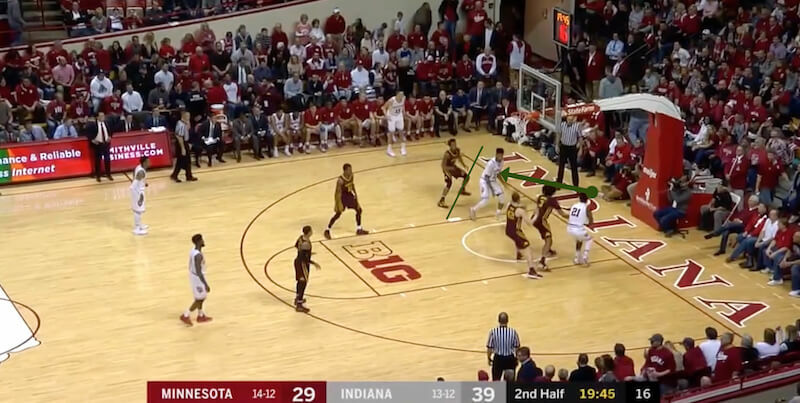 Nice secondary action from the Hoosiers here. 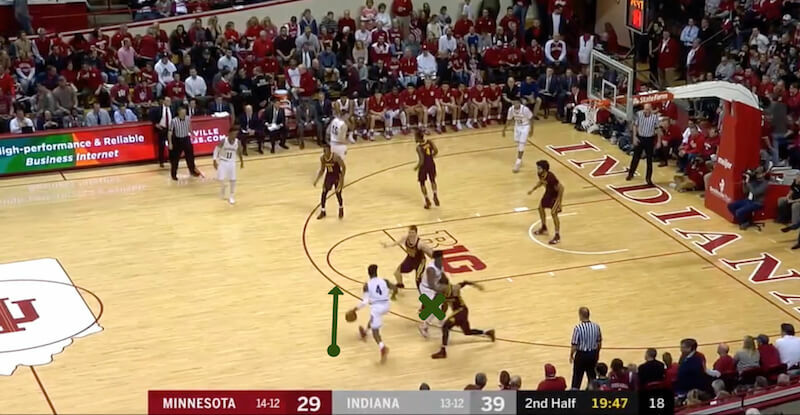 McSwain stayed patient and didn’t force anything, instead finding the open Morgan for the score. Fun stuff, Ryan. Thank you and HAW! It was great to see players dunking the ball. Maybe Davis could take notes. And did you notice how much he praised Minny during the first few minutes of the game? 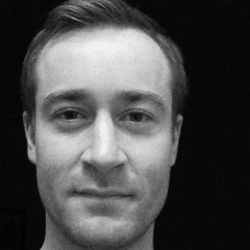 That dude is an arrogant, self absorbed punk…..and as you say….an idiot. He had no nor has any business calling college games with his destructive attitude. 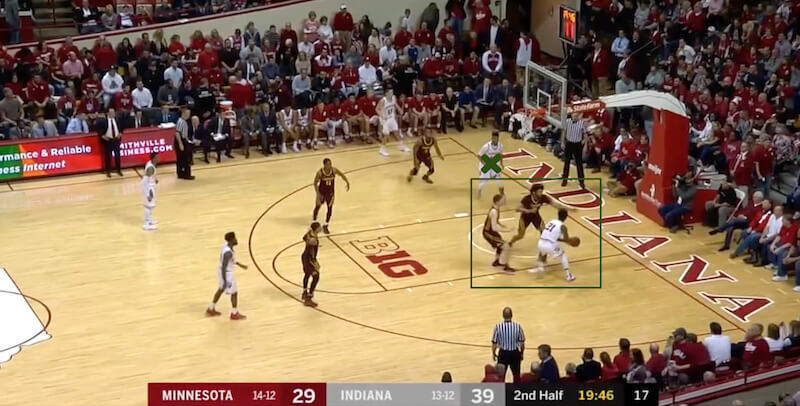 That last pick and roll sequence with Juwan and Devonte is what I want to see all season long next year! Not really off the subject as the game as a whole is supposed to be an exceptional product!